I have this dry stream bed that runs thru my property. After 3 or 4 days of heavy rain (yea I know it doesn't happen after) it leaves silt in a few locations. After many years the silt really piles up and has filled in the stream bed in spots. One such spot is in an area just to the right of a couple of Be Still Trees. 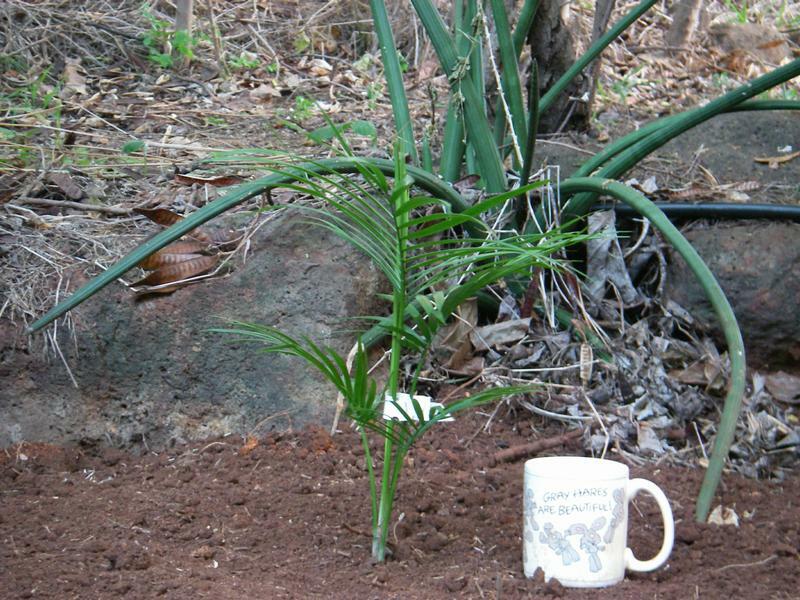 In January of 2008 I decided that it would be a good place for some of the palms I just bought from Floribunda Palms on the Big Island of Hawai`i. 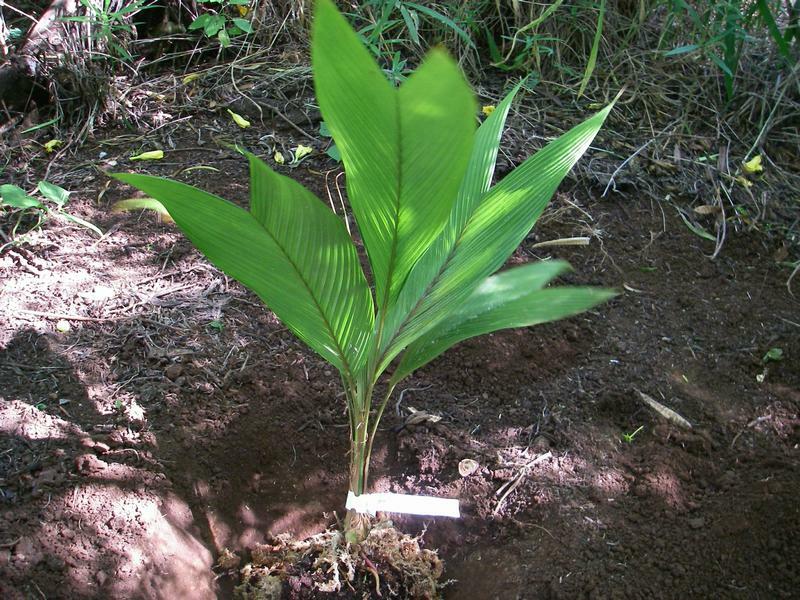 Here is the story of that planting. 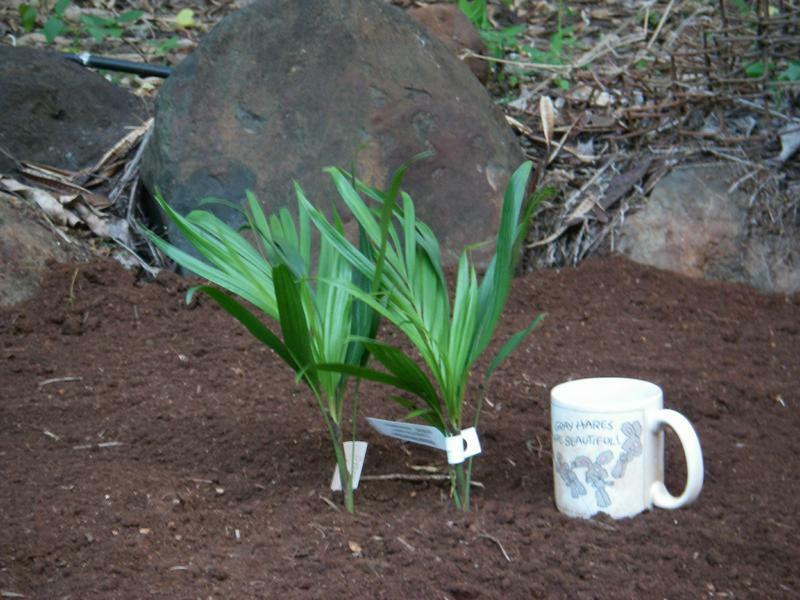 I planted 1 Asterogyne martiana under the right hand Be Still Tree. I didn't get a lot pictures of the ground preparation. 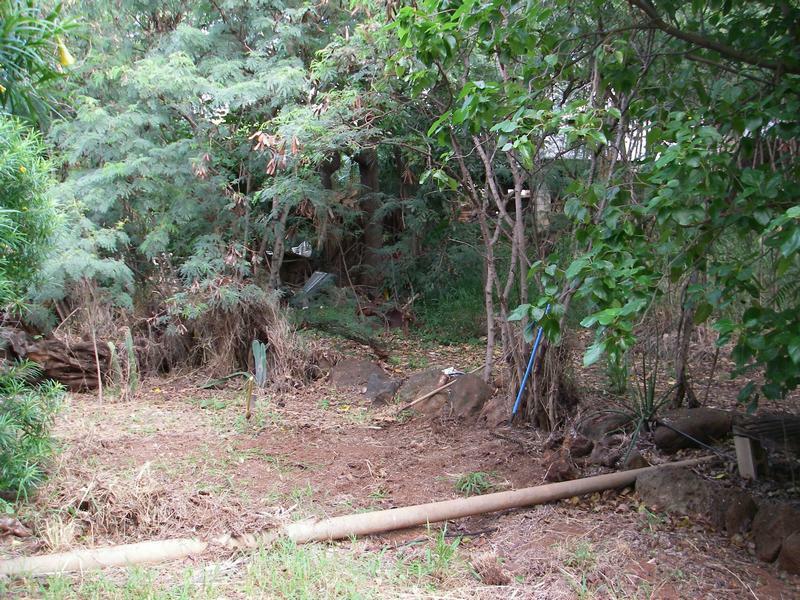 As a mater of fact I only have one picture with the palm sitting in it's planting hole and not even covered up. 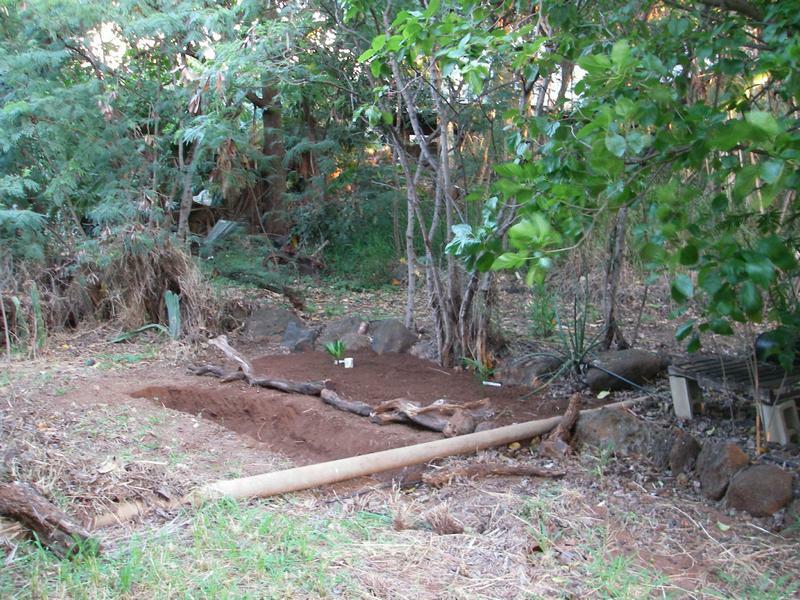 I did make a drainage ditch and filled it w/cinder to insure it has good drainage. January 30. The before look. This was the beginning of the real hard work project. The first picture give you an idea what the ground looked like before starting. The stream bed is completely silted up after many years of not keeping it clear. Sorry I didn't make a panorama shot to show you the Be Still Tree but you can see a little of it on the left and one yellow flower. After a "few" hours of work I have built a raised bed on the right and planted three palms two Dypsis rivularis (by the coffee cup) and one Rhopaloblaste singaporensis. These three all were in 4" pots but seemed big enough to put in the ground.